WSA is a budget travel company started by the son of travel guru, Rick Steves; a company which grew out of an experienced need for fun, efficient, culturally-plugged-in travel experiences around Europe. During the Spring of 2008, Andy Steves designed the idea for Weekend Student Adventures in his college dorm room at Notre Dame after studying abroad in Rome. Growing up traveling with his father, Rick Steves, Andy knew how to get around and enjoyed helping his friends with their traveling plans. Through this experience, he saw an opportunity to create fun, no-nonsense, affordable, and memorable weekend trips. WSA was launched in 2010 after Andy graduated from Notre Dame, and today has grown to an award-winning team of amazing local guides and a community of over 10,000 travelers! To foster fun, respectful, in-depth and unforgettable travel experiences for budget travelers, backpackers and students. We empower travelers to become immersed in the cities they visit by experiencing cultures as a local, rather than merely observing them. 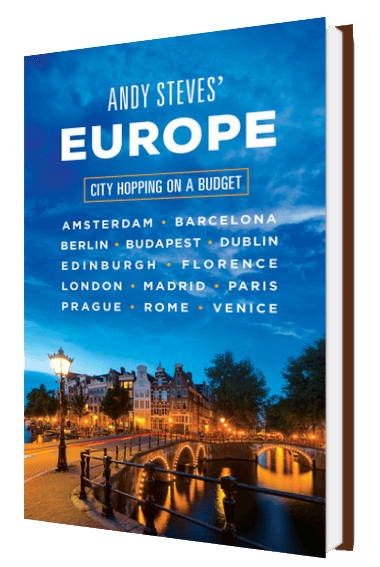 Available NOW: Budget guidebook from travel pro Andy Steves. Learn more here! Every year, students and travelers tell us that the highlight of their trip was their WSA local leader. We continue to engage cultures by employing the most knowledgeable, interesting and incredible team of professional guides- based in their hometown. These guides know their city more than anyone, and will take you beyond the beaten path of tourist traps. They're the real face of WSA, and we couldn't be prouder! Learn more about Locally Led tours. We’ve channeled all of our local insights, off the beaten path spots, and insider knowledge into our Detour Destination guides provided with your WSA Detour - a must-do list designed for those who have only 3 days in each of the cities they’re visiting. We recommend only our favorite restaurants, museums, activities and nightlife because you simply don’t have time for anything but the best!